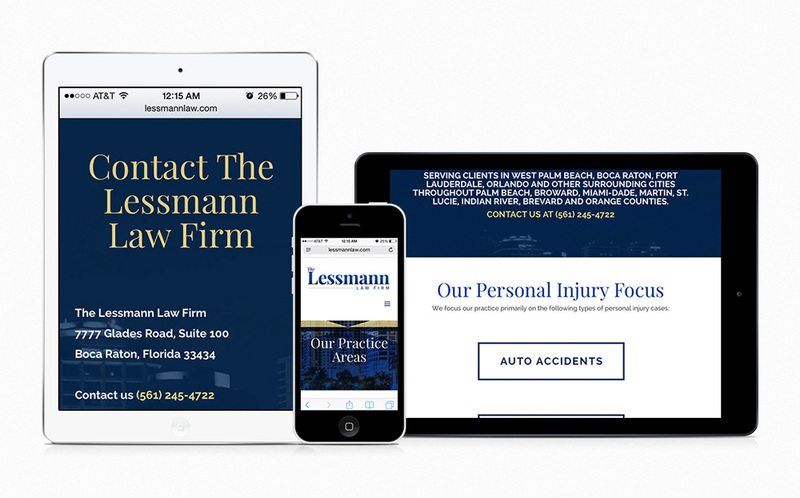 The Lessmann Law Firm is a personal injury firm based in South Florida. 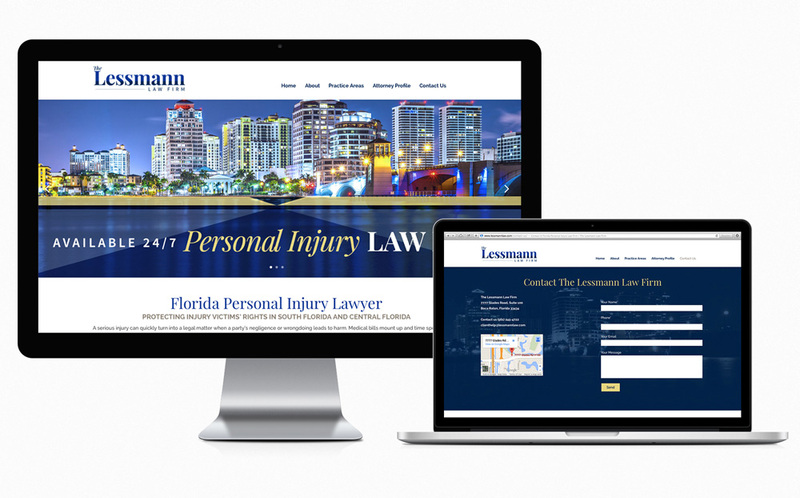 As a new firm, they needed a complete brand from scratch that would convey to clients their professionalism, reliability and experience. 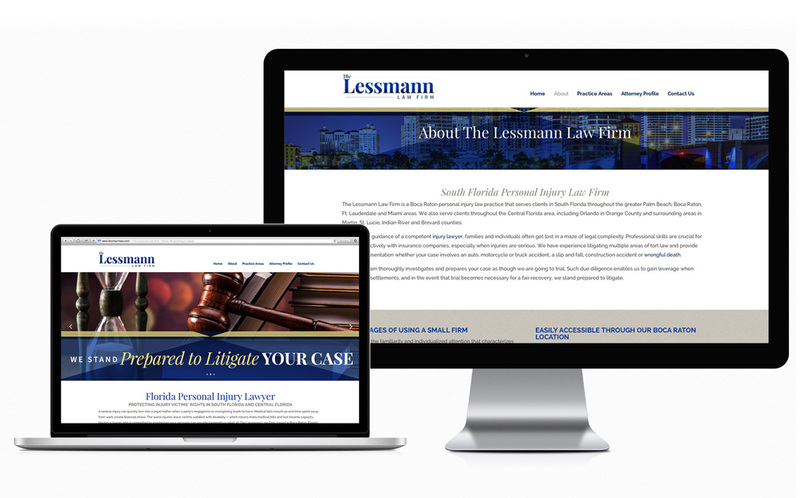 The Lessmann Law Firm attorneys are highly experienced and extremely customer service oriented. Wald Creations developed a word mark, color scheme for their brand and responsive WordPress website. The firm will be expanding and enhancing their brand through the upcoming year and we look forward to adapting as they grow and exceeding their marketing goals.